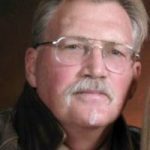 KITTY HAWK – Gary Matthew Reynolds, 67, of Kitty Hawk, entered eternal life Saturday, January 12, 2019, surrounded by family. Known as ‘Radical Rigger’ throughout the Music Industry, he passed from kidney failure but had been ill for several years with heart disease and had waited for a heart transplant that regrettably never came. He was born on October 12,1951 to Mary Frances and Charles Elmer in Parkersburg, West Virginia, both of which preceded him in death, as did his big brother David. Gary is survived by brothers Mark Reynolds, Christopher Hokemeyer, baby sister Patti Reynolds Morissette (Don), three sons, Zachary (Vanessa), Zane (Christen), and Max, as well as numerous grandchildren, great-grandchildren, nephews and nieces.